The renowned Emporio Armani eyeglasses collection focuses on style, fashion and leading eyewear frame designs. Authentic Emporio Armani EA1081 Eyeglasses are brand name, designer optical wear. Emporio Armani EA1081 is a Full Rim frame for Men, which is made of Metal. 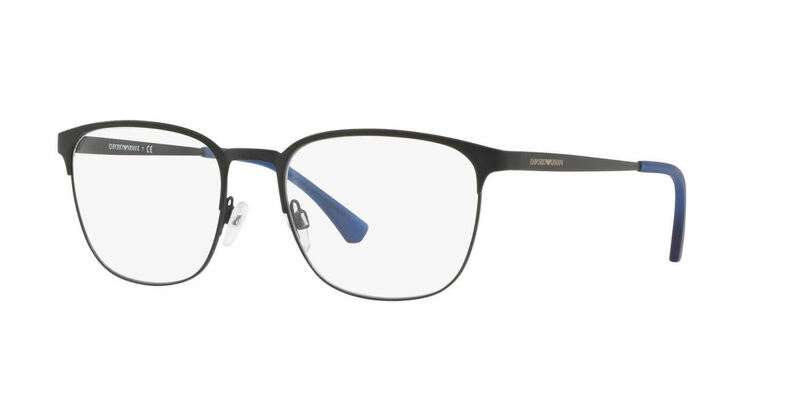 The Emporio Armani EA1081 Eyeglasses feature the following logo: Emporio Armani on temple. Emporio Armani EA1081 Eyeglasses come with a cleaning cloth and protective carrying case. I have a very strong prescription (-14.50), and many places would not do this prescription. Framssdirect did a very nice job, and I am seeing clearly through my new pair of glasses. The fit is slightly tight to my head. There was no guidance on how to determine that dimension. Also, it took ~1 week to get my frame, which I did not expect. From the time I placed my order to when I received it, it was about a month.